A new six-part epic covering thirty years of Star Trek® history, continuing with an adventure that takes place during the historic five-year mission! Mestiko: a world on the brink of interstellar space travel -- and under covert Federation observation. When the Payav, Mestiko's dominant nation, learns of a rogue pulsar sweeping through their star system and threatening to destroy all life on their planet, the Federation is faced with a daunting choice: stand by and witness the extinction of a thriving civilization, or violate the Prime Directive and mount a desperate effort to protect the planet from total devastation. The Starship Enterprise, newly under the command of James T. Kirk, is sent to aid the doomed planet. Kirk and his officers -- Spock, Mitchell, Kelso, Scott, Sulu, and Dr. Piper -- must use an experimental, untested technology to save the planet before it's too late! Dayton Ward is the New York Times bestselling author or co-author of nearly forty novels and novellas, often working with his best friend, Kevin Dilmore. His short fiction has appeared in more than twenty anthologies, and he’s written for magazines such as NCO Journal, Kansas City Voices, Famous Monsters of Filmland, Star Trek, and Star Trek Communicator, as well as the websites Tor.com, StarTrek.com, and Syfy.com. A native of Tampa, Florida, he currently lives in Kansas City, Missouri with his wife and two daughters. Visit him on the web at DaytonWard.com. 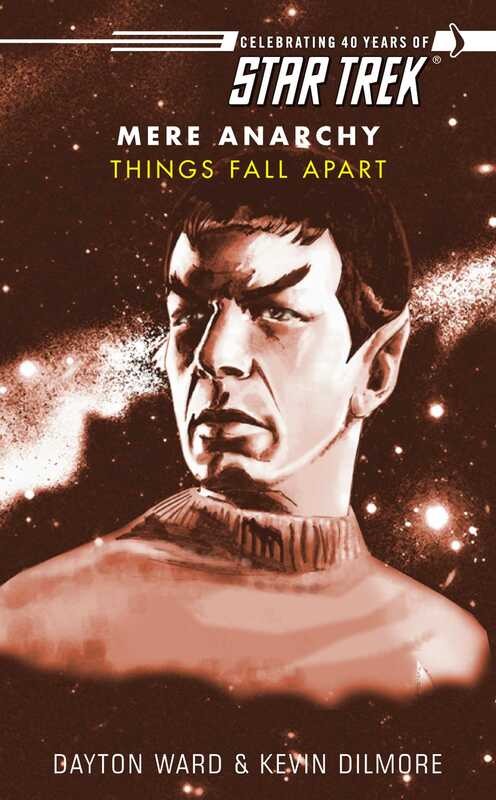 Kevin Dilmore has teamed with author Dayton Ward for fifteen years on novels, shorter fiction, and other writings within and outside the Star Trek universe. His short stories have appeared in anthologies including Native Lands by Crazy 8 Press. By day, Kevin works as a senior writer for Hallmark Cards in Kansas City, Missouri. In 2014, a short film written by Kevin, “Outside of Town,” was selected for screening in the Short Film Corner of the Cannes Film Festival. A graduate of the University of Kansas, Kevin lives in Overland Park, Kansas.